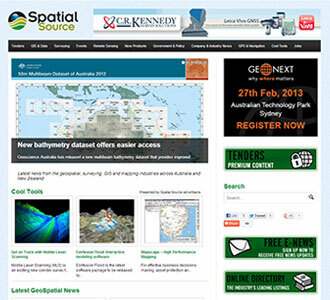 Spatial Source is Australia and New Zealand’s first website covering the geospatial, surveying, GIS and mapping communities. Online partner to the long established Position magazine, Spatial Source is the only online resource dedicated to covering the latest industry developments, product and technology news. Spatial Source also delivers a free weekly e-newsletter, sent to over 6,000 professionals – subscribe. An additional and invaluable resource is the Spatial Source Online Industry Directory, designed specifically for geospatial professionals who are looking for products and services relevant to their work.